COLOMBO, 13 July 2018, A knitted lace manufacturer, Noyon Lanka, is ready for the implementation of Chemical Leasing. 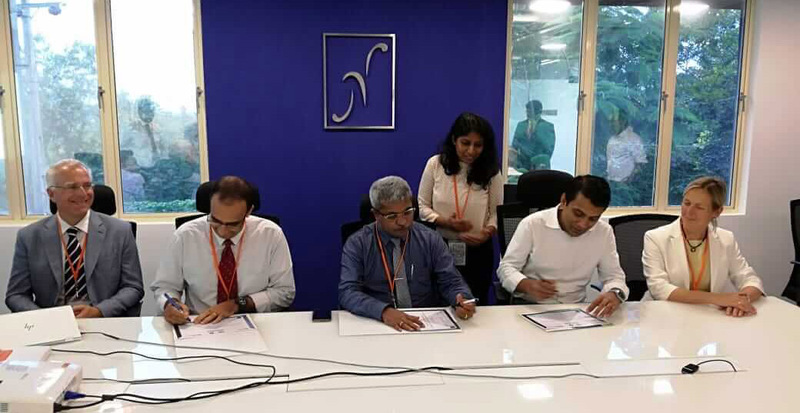 Together with its chemical supplier Nalco-Ecolab, the company signed the commitment letter. Together they will apply the functional business model for the wastewater treatment process. The choice of the business model is a response to the strategic development of Noyon Lanka that cares about the sustainability and strives to achieve the Win-Win-Win results: good for the business, for the environment and the local community. UNIDO and the National Cleaner Production Centre of Sri Lanka play the role of facilitators, providing the technical support and the experience to both partners to help with negotiations and the business model's implementation.